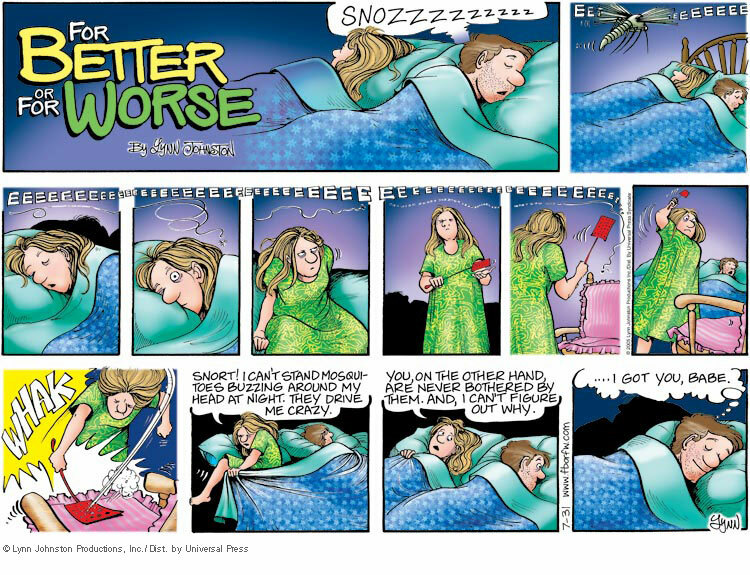 I didn’t capture any blue thing lately; therefore I share another 'For Better or Worse' Comic –my favorite comic- here. I’m so relate with this. My husband never feels bothered with mosquitoes. He keeps sleeping well. I always wake up every time I hear its sound by my ear. I guess –like the comic’s saying- he depends on me to get rid away of these annoying critters. Before, I used an electric mosquito racket but now I always put on an electric anti-mosquito every night. 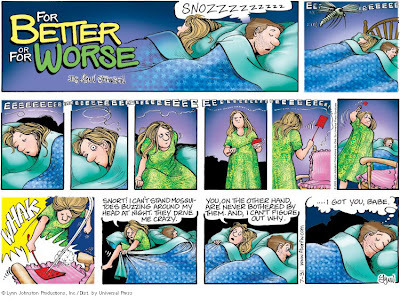 It works and it’s so practical; I’ve never had problem with mosquito while sleeping anymore. How do you get rid of mosquitoes from your bedroom?